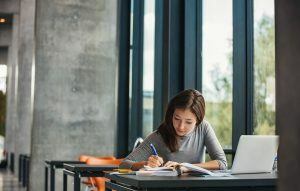 As we wrap up our series on starting early with your bar exam prep, we’re taking a look at one of the most important aspects of your study – your study schedule. This will be your guide as you work through your weeks (or months) of prep, and it’s going to be important to stay on track, so this is an area where starting early is crucial! One of the most important aspects of our bar tutoring at the Bar Exam Toolbox are the study schedules for our tutoring and self-study students. A bar study schedule is like a big jigsaw puzzle, but it turns out differently for each individual student. There are many pieces (outlining, memorizing, essay practice and review, performance test practice and review, and MBE practice and review) all mixed up to fit with a student’s availability. The more you do of each task (especially the practice! ), the better your chances are on the bar exam. If you opt for the 10-day plan, there’s only so much that you can do (and burnout is a big risk). So, what can you do to give yourself the best possible chance? Start early! The less time you can devote per day, the earlier you should start. Get out a planner and look at what you do in a normal week. Then look at what items you can realistically let go of during bar study, and what items absolutely MUST get done. Schedule everything, just for that one week so that you can see where you have blocks of time available for studying. Then factor in holidays, vacations, visits from friends or relatives, work trips, work deadlines, anything that might throw you off your study schedule. Factor in sleep! Sleep deprivation does you no favors on the bar exam. Your answers will determine how early you should start – and possibly when you should sit for the exam. You’re Not Telling Me to Start Several Months in Advance…Right? Maybe! If you’re lucky enough that you have 45 or more usable study hours per week, you can probably plan on an 8 to 10 week study schedule. If you can plan on about 25 hours per week, your ideal minimum is 16 weeks. This should give you enough time to outline, memorize, and practice. You want to make sure that at least some of it comes in decent blocks of time for you to do timed practice essays and performance tests and, eventually, full practice exams (both written and MBE). So, How Exactly Do I Do This?? If you’re studying full-time, I recommend breaking up your days among outlining and reviewing substantive material, practicing and reviewing (timed!) essay questions, and practicing and reviewing MBEs. Rotate through the different subjects, devoting at least one or two days to each individual subject at first, and then mixing them up closer to the bar exam. Spend at least one day per week working on performance tests. Don’t neglect your practice. And don’t forget to schedule down time! If you’re studying part-time (25 hours per week), you’ll follow a similar pattern to the full-time schedule, but you’ll probably have to spread out your tasks throughout the week. Rather than practicing your essays daily, you might be doing practice essays every other day, for example. This will, of course, depend on where you have your blocks of time, so it’s impossible for me to suggest a specific pattern. If you only have a few hours per week, and you’ll be studying for several months, your pattern should be different from the above. Start with two primary tasks: getting your study materials in order and practicing performance tests. Why? The process of outlining is, in itself, a learning process. So it’s useful to do this yourself, even if you’re only adapting a commercial outline. It will also make it easier to memorize later if it’s in your own words. Performance tests, however, require no memorization. They’re skill-oriented tasks. This means that if you master it early, you can focus your work in other areas closer to the exam. Once you get your outlines done (but no less than four months before the exam), go ahead and add essay practice into your study schedule. Spend time reviewing your essays, and make adjustments to your outlines as necessary to make your study time more effective. At this point, you should also start working on memorizing your attack plans – but don’t stop practicing! (Notice a theme here? We often hear from students who spend hours drilling and memorizing law, but hardly practice at all. Essays, performance tests, MBEs. Success on the bar exam requires practice). There’s no one right way to study for the bar exam. Schedules aren’t one-size-fits-all, which is why I spend so much time customizing them for our individual students. But this is a long-term process. To be successful, you need to be realistic about your availability and abilities, give yourself enough time to get the study time and practice that you need without rushing or panicking, and develop a schedule that fits into your life. Whitney started her post-graduate education at the University of Mary Washington, earning a Master’s in Education. She soon decided to change course, and went to the College of William & Mary School of Law. At William & Mary, she was an Articles Editor for the Journal of Women and the Law and a Teaching Assistant for the Legal Skills program. Through the Legal Skills program, she was able to provide mentorship for first and second year law students, as well as instruction in legal writing and client contact. In 2010, she graduated Order of the Coif and was admitted to the bar in Maryland. She is a tutor for the Start Law School Right program, where she combines her legal and educational background to help others grasp fundamental legal concepts. She is also a tutor for the Law School Toolbox and Bar Exam Toolbox.